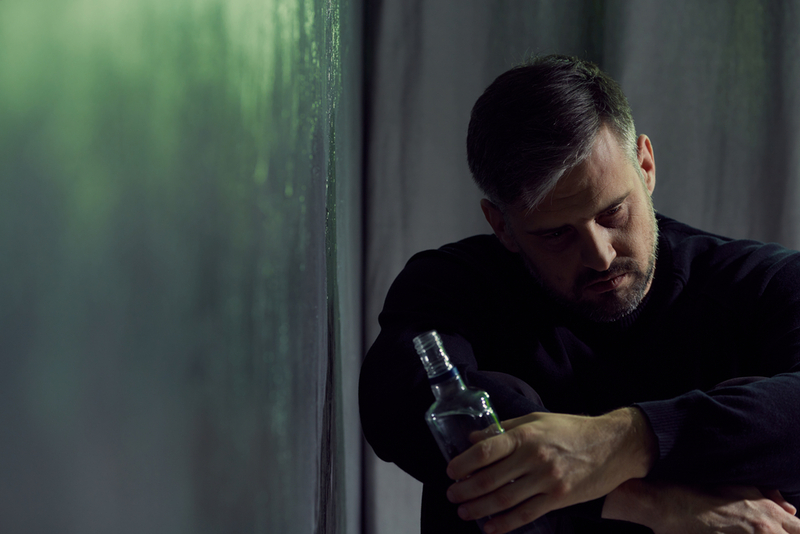 Before the common signs of an alcoholic are discussed it’s crucial to understand alcoholism for what is. People who are addicted to alcohol often feel helpless to manage their alcohol consumption. Therefore, one drink can never be just one drink it always has to be two or more. Moreover, alcoholics understand that they should reduce their drinking habits, but they can’t. Alcohol is something their body needs, in fact, some even build a high tolerance for it. However, a high tolerance for alcohol is not a good thing since over time their body comes to expect it. When their body does not receive alcohol, they might experience withdrawal symptoms. These withdrawal symptoms may even bring people to drink more to alleviate the pain. In addition, alcoholism is dangerous to not only a person’s health but a person’s emotional well-being. The body’s need for alcohol can push people to their limits. For example, an alcoholic may use alcohol in dangerous situations like driving, swimming, or diving. Also, being addicted to alcohol can create tensions in family relations, career choices, and social situations. Everyone has a different reason for being addicted to alcohol. However, one of the most common reasons is peer pressure. At first, an individual doesn’t intend to drink, but peers often encourage them to. In fact, there are many different types of peer pressure. The most common is spoken peer pressure where people try and convince you to do an activity. However, there is also unspoken, negative, positive, and adult peer pressure. These types of peer pressure may be used against you to encourage your activity in something you don’t want to do like drinking alcohol. A person who succumbs to drinking alcohol may over time not be able to manage their alcohol intake. When you’ve been convinced your whole life that alcohol is good, it may be hard to train your brain that it’s the opposite. Another common cause of alcoholism is anxiety and depression. When a person has anxiety or depression life can be seen in a challenging way. However, the effects of alcohol may enlighten a person and give them insight into how beautiful the world is. With that being said, alcohol is not an effective treatment for depression or anxiety. People with such disorders should seek out a doctor not consult their own medical advice. If you want to find out if a friend or family member is an alcoholic all you must do is watch how they carry themselves. Alcoholics usually have slow reaction times so try testing his or her reflexes once in a while. In addition, alcoholics often have difficulty with coordination, and sometimes cannot walk properly. Some other physical signs include memory loss, blackouts, and flawed judgment. These physical signs may increase as a person drinks more over time. Therefore, a person who has been drinking every week for years may experience more of these symptoms than a person who has only started drinking. However, everybody is different in the way alcohol affects their body. Another way to find out if a friend or family member is an alcoholic is to look at their behavior. People who are addicted to alcohol usually find themselves in some legal turmoil like drunk driving, domestic abuse, or assault. Also, since alcoholics tend to spend their money on booze it’s likely they will be in some financial trouble. Although, they might try and take out loans or liquidate their assets in order to get more money. Some alcoholics might go as far as to steal from family and friends to get what they need. In fact, alcoholics tend to engage in unsafe activities due to the need for alcohol. Some other behavioral signs include going to a family event, meeting, or hanging out with friends already intoxicated. One of the primary signs of an alcoholic is they can’t restrain themselves from drinking; however, they want to. Most alcoholics will feel helpless in these times, and that’s where you’re needed most. If you’re a friend or a family member wanting to help an alcoholic, it’s best to give an intervention. While an intervention might sound scary and intimidating, if done right it will, but it will change your family forever. Interventions are perfect for alcoholics who don’t believe in themselves because an intervention shows them that they can be better. 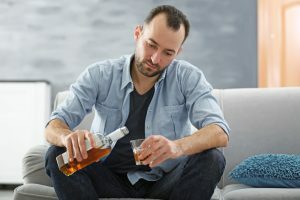 The foundation of an intervention relies on friends and family aiding the person to see that he or she is not the problem, but instead, alcohol is. An intervention should be used as a motivation tool instead of a scare tact. After an intervention, the addict can be sent to an addiction treatment center. These centers can vary in price, programs, and treatment plans. However, the basic addiction center offers either outpatient or inpatient care. Some people like the benefits of outpatient care since you’re at home and with your family. However, others want to dedicate themselves to their treatment plan and decide to stay in these facilities. Depending on the facilities it might offer an exercise room, pool services, or only a room. Whatever you choose to make sure you receive the best treatment possible. It’s never too late to change. If you’re addicted to alcohol, there are many organizations, programs, and doctors that want to help. All you must do is ask.